By early next year, the Indian Air Force could be having a new indigenously produced bomb for use against high-vale targets like airfields, railway yards, fortified bunkers and docks. The Defence Research and Development Organisation has developed a 500-kg class bomb that would be manufactured by the local industry. “The design and development of the bomb has been completed and flight trials from Jaguar aircraft have already been undertaken,” a senior scientist said. “Certain trials of the bomb with the SU-30 fighter have been carried out and the remaining parameters would be evaluated in the coming weeks,” he added. Christened as the ‘500-kg General Purpose Bomb’, it is expected to be inducted into service by coming March or April. The DRDO is looking at the private industry to transfer the technology for its commercial production. This is the heaviest bomb to be designed in the country so far. 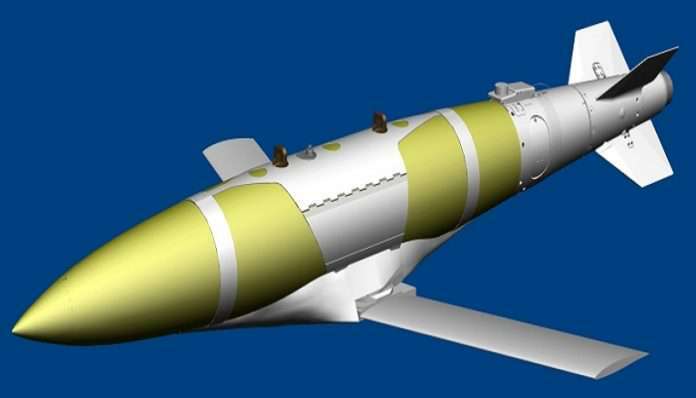 The bomb primarily consists of two main parts — the main body that would house the warhead and fuse and the tail unit with its fin assembly to stabilise its downward ballistic flight trajectory after release from the mother aircraft. The bomb, made of specially forged high-grade steel, is about 10-ft in length and a little over a foot in diameter. It is expected to be armed with Torpex-4B type high explosive.